In-depth articles are an important feature of the Gesneriad Reference Web. While information is presented in a variety of ways, including the Genus Pages and the individual Plant Pages, Articles are the way in which we present comprehensive coverage of important subjects. In some cases, we will have articles addressing the detail of particular genera, where the size, complexity or popularity of the genus warrants this. Our article by Jeff Smith on Saintpaulia is one such an example, and, among many other things, addresses the taxonomic reality that African Violets are in the genus Streptocarpus, and that Saintpaulia is no longer a valid genus name. 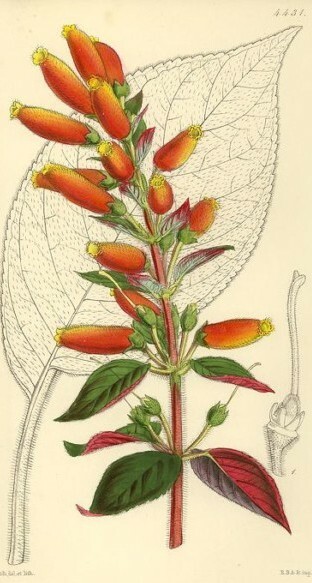 The lead article for the entire site is Anton Weber’s “Gesneriaceae – A Scientific Perspective”. Prof. Weber has revised his extensive article on the family for us, and it has now been posted. The same holds for Jim Smith’s article on Columnea and the article on The Sinningia Alliance by Alan Lavergne and Dave Zaitlin, and Saintpaulia by Jeff Smith, which have also been revised and posted. We also expect to have articles on other interesting groups of genera, including coverage of the “Alpine and Temperate Gesneriads” (currently available as a “stub” or place-holder), “The Coronantherae”, the interesting group resident in the south Pacific from Chile to Australia, and others. We also have an article on the “ex-Chirita” group, which has been subject to much revision. This is a long-term effort. As “official” new articles are produced they will appear in the drop-down list produced by hovering over “Articles” on the main menu. In the meantime, you may want to review our older articles, most of which remain valid. Fragrant Gesneriads by John Boggan can be accessed through this link, but may be updated in the future and listed in the drop down list.